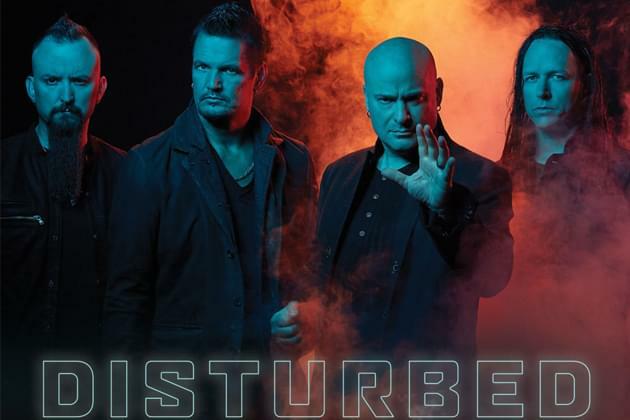 Yep, here at the X, we are extremely excited to welcome back DISTURBED to the Peoria Civic Center Arena on January 30th for their ‘EVOLUTION’ Tour! As you may already know, tickets are on sale this Friday at the Toyota Box Office inside the Peoria Civic Center, or at ‘Ticketmaster.com.’ HOWEVER…..this week, myself and Ms. Anna Kinkade have your FREE tickets inside the 8am and 4pm “Listen And Win!” hours! What does this mean? Well, it means you can win one pair of free tickets each day, inside both of those awesome “Listen And Win!” hours. I will ask you to dial me at 309-495-9496 or 877-495-9496 each day in that 8:00am hour. Anna will give you exact details on how you can win with her each day this week after 3pm. We are beyond excited to welcome back DISTURBED, with special guests THREE DAYS GRACE, at the Peoria Civic Center Arena.It’s been a few years since we had Disturbed here in Peoria, so, it’s time to celebrate our first big Rock show of 2019! Tickets provided by Frank Productions and Live Nation! Good luck!